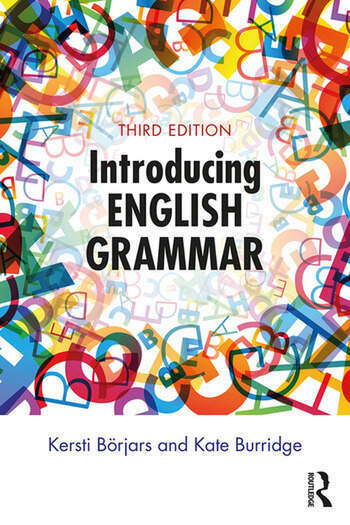 Introducing English Grammar introduces readers to the methodology and terminology needed to analyse English sentences. The approach taken is in line with current research in grammar, a particular advantage for students who may go on to study syntax in more depth. All the examples and exercises use real language taken from both standard and non-standard geographical areas and dialects, and include excerpts from Australian and British newspaper articles. Students are encouraged to think about the terminology as a tool kit for studying language and to test what can and cannot be described using these tools. a brand new companion website with extensive further reading and answers to the exercises, which can be found at www.routledge.com/cw/borjars. Written for readers with no previous experience of grammatical analysis, Introducing English Grammar is suited to anyone beginning a study of linguistics, English language or speech pathology, as well as to students whose interests are primarily literary but who need a better understanding of the structure of English. Kersti Börjars is Professor of Linguistics at The University of Manchester, UK. Kate Burridge is Professor of Linguistics at Monash University, Australia.